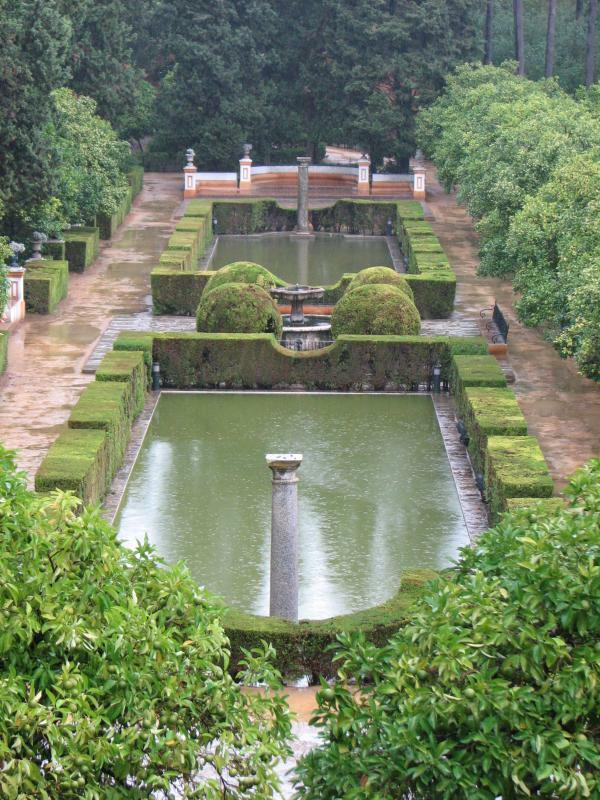 The Alcázar(meaning “palace”) of Seville can be found at this cultural capital of southern Spain. It was originally a Moorish but later converted to a royal palace. The palace was built in the year 1364 and it is also a fine example of the Mudejar architecture. It is one of the best preserved palaces as the royal family continues to use the upper levels of the palace. The palace is under the administration of Patrimonio Nacional and it is also included in the UNESCO World Heritage Site. It is also known as “The Courtyard of the Maidens”. The Patios lower level here was built by Pedro I and also it features a number of inscriptions that displays Pedro I as a sultan. It also features ornamented reception rooms, also there is a pool in the middle with hollow gardens. The courtyard here can also be seen in the movie “Kingdom of Heaven”. It is also known as “The Baths of Lady Maria de Padiila”. This garden features 20 flower beds divided by fountains and paths. It is also known as “English Gardens”. It features a number of plants and a park that was built in the year 1909. It is the most beautiful garden in the palace. It features a wide variety of flowers and it also stands as a fine example of Almohade architecture. It was the place where the disputed have been settled. It also features a chapel and various paintings that describes about America’s discovery.